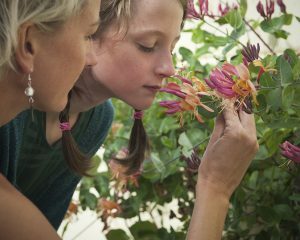 Essential oils are sourced from all over the globe and purchased from growers who grow healthy crops and produce the purest of essential oils. Essential oils are potent and powerful and have a positive effect on the skin as well as creating a general sense of well being over the user. 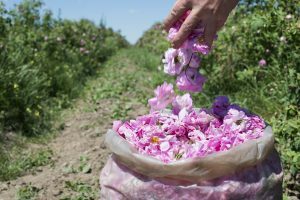 Bulgarian rose petals are used to make the pure essential oil used in our skincare. 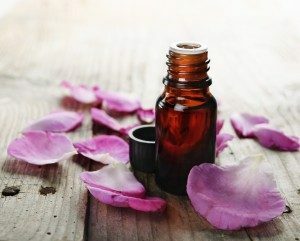 The recovered steam produced during the distillation of Rose oil is what you receive in our Love Your Skin Floral Toner. Rose encourages smooth skin so works well on dry skin areas. It also helps to control inflammation of the skin. Palmarosa is a tall grass plant which grows in India, upon which small flowers grow. The oil is distilled before the flowers develop but the oil has a very flowery aroma. Palmarosa is hydrating and helps greatly with smoothing out fine lines in the skin. Originating from the Middle East and well known for its biblical references, Frankincense comes from the Boswelia tree. A white milky substance is taken from the bark of the tree and hardens into a resin which is then steam distilled into the oil. Frankincense is known in Aromatherapy circles as the most natural anti-wrinkle oil there is and is a wonderful oil to help smooth out fine lines in the skin. Benzoin is a resin that comes from the bark of a tropical tree which produces a hardened fruit. The resin is then dissolved to make the oil useful for Aromatherapy. It has a delicious vanilla chocolaty aroma and is good for helping to reduce inflammation in the skin. Grapefruit oil is expressed from the peel of the grapefruit. Grapefruit is an energising oil which encourages circulation, helping to bring a look of vitality and youth to the skin. Lemon oil is expressed from the peel of the sunny lemon and is, like grapefruit, deeply energising. It also aids in circulation so keeps the skin young looking and filled with vitality. Geranium essential oil is steam distilled from the flowers, leaves and stalks of the pretty geranium plant. Geranium helps to balance the sebum content in the skin helping to keep the skin in a state of equilibrium. Neroli oil comes from the gorgeous white flowers of the Orange tree. It is also known as Orange blossom. Blossoms are steam distilled to extract the oil. Neroli is a wonderful skin soother and helps to reduce the appearance of thread veins and scar tissue. Jasmine, another wonderful blossom always harvested at night when the flowers are at their most aromatic. The oil is extracted through a process called enfleurage and is a highly skilled process. 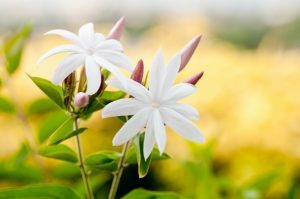 Jasmine encourages smooth skin and aids the disappearance of scar tissue and thread veins. Mandarin is distilled from the almost ripe fruit of the Brazilian mandarin tree. It is a lovely energising oil encouraging vibrant bright skin. 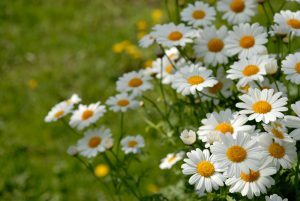 The flower heads of the Chamomile herb are steam distilled to produce this calming essential oil. Chamomile is well known for its soothing effect on the mind, it affects the skin in the same way helping to calm the skin and sooth irritations. The Lavender herb is picked in the morning from the slopes of Mont Blanc in France and distilled immediately to ensure the potency of the oil. 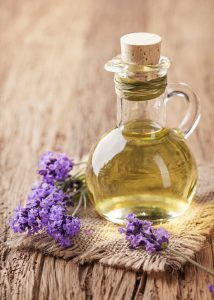 Lavender, as well as being a calming oil, is known as an all rounder and is a wonderful skin healer. It soothes the skin and helps to balance sebum levels. Trees that produce Sandalwood essential oil take 60 years to reach the maturity necessary for oil production. We use Sandalwood from Indonesia where plantations are very controlled and sandalwood trees are cut and replanted. We do not use Sandalwood from India as plantations are less controlled. Sandalwood is a wonderful skin soother and calms irritated skin. It has a delicious woody aroma. Patchouli is distilled from the young leaves of the plant, it has a musky aroma and is beneficial for cell regrowth and reduction of scar tissue in the skin. We use a variety of Carrier oils in our products all sourced from reputable growers all over the world. The oils we use are Sweet Almond, Grapeseed, Jojoba, Argan and Coconut. They are deeply nourishing for the skin as they contain high levels of nutrients necessary for healthy skin. We are especially proud of our Anti-ageing Argan oil in the Love Your Skin line. Argan has been found to have natural anti-aging properties. Emulsifiers used in our products are from a natural coconut oil source and add to the richness or our creams and lotions. Our products have natural emollients such as Vegetable Glycerine from coconut oil which makes our products silky smooth on your skin. Witch Hazel is an emollient which is high in antioxidants and is a wonderful skin healer. All our body oils and our anti-ageing facial oil are 100% natural using only Vitamin E as an antioxidant to add a preservative element to our oils. preservation system and have come up with a system that we believe is the safest and most balanced whilst maintaining the richness of the natural ingredients in our products. We dedicate some time to explaining our preservation system here as we believe in transparency and honesty and we also want you to understand the products you use on your skin. Products without preservatives will last no longer than a few days and would need to be kept in the fridge, just like fresh fruit and vegetables. This is acceptable if you make your own skincare products and use within a few days. It won’t work with the skincare you buy off the shelf. Products with natural preservatives such as tee-tree oil or grape seed oil are not permitted under new EU legislation as they do not give the protection needed over the period of time a product may be on a shelf and the length of time it may be opened and in use. Again this method of preserving products is good if you make your own at home. Alcohol can be used in high concentrations as a preservative in skincare products; however we chose not to use alcohol as products would smell distinctively of alcohol and we also wanted to make our products available to all. If we used alcohol, our products could not be used by those whose personal, religious or cultural beliefs restrict the use of alcohol. Alcohol is also found to be very drying to the skin. We use Vitamin E in our oil products, which keeps the oils from going bad. 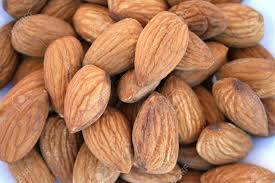 Vitamin E is an excellent skin nutrient and is an enriching ingredient to any oil blend. We have chosen to use a combination of EU accepted preservatives Sodium Benzoate and Potassium Sorbate in our Love Your Skin Floral Toner as without it your delicious Rose Toner will last just 6 months, and less once opened. There is .5% of preservative in this product. Our face washes have a combination of Sodium Benzoate and Potassium Sorbate and Phenoxyethanol, as a broader spectrum preservation system is necessary for these products to work efficiently with the pH levels of the products. There is less than .5% of Sodium Benzoate and Potassium Sorbate and less than .3% of Phenoxyethanol. All natural ingredients are preserved and richness maintained so you receive a natural yet very safe product. Upon testing of creams, it was found that the most effective method of preserving them was to use Phenoxyethanol at less than .8%. We chose this as we believe it makes the products the safest they can possibly be without compromising the natural ingredients in the products. Again the pH balance of the creams requires a broader spectrum preservative to ensure their safety. Essential oils have been added to hypoallergenic base creams in a level that is therapeutic, making the products holistic – they work not just on the skin but also contribute to a the overall sense of well-being. Because of this, care must be taken when recommending products to those with sensitive skin. Customers should be sure of their sensitivities and if they are not, it is wise to either recommend they not use this product or to advise that products could irritate their skin.